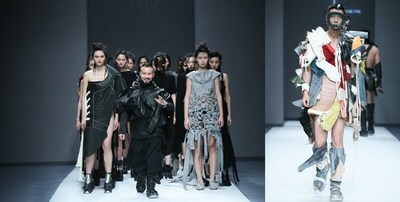 SHENZHEN, China, March 17, 2019 /PRNewswire/ -- Designer and owner of the KING PING brand, Wang Ping, challenged the limits of the physical world when he presented the brand's new collection at Shenzhen Fashion Week 2019, which kicked off on March 14. Over 20 years ago, Mr. Wang began his career in this new field. He is one of China's pioneers in creating a designer brand with its own original shoe designs. HeÂ has been a judge in major Chinese and international design competitionsÂ over the past ten years. In addition to shoes, he is also active in clothing, jewelry, furniture and interior design.Â Each of his works is fully handcrafted. He combines curated fabrics and finest craftsmanship with a design-focused aesthetic experience, creating beautiful, comfortable and practical shoes. Mr. Wang has never wavered from the original mission of offering meticulous design.